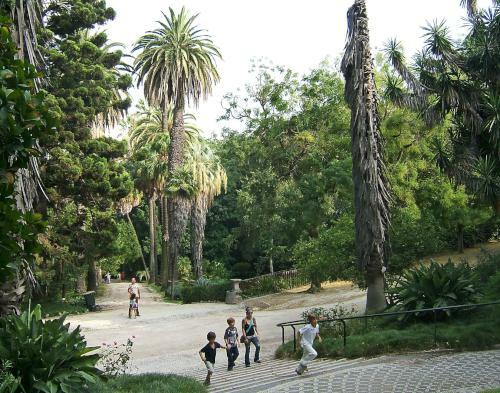 Lisbon’s Botanical Garden is the perfect place to get away from it all and relaxed amongst landscaped greenery. It is the oldest botanical garden in Portugal and was created in the 18th century for the Portuguese royal family at the request of the king. The garden was designed by Domingos Vandelli, an acclaimed naturalist, in 1765 and was intended to be a place where the king’s grandchildren could play safely while learning all about horticulture. Vandelli was later appointed director of the Botanical Garden and used his position in order to amass a collection of some 5,000 different plant seeds from all over the world. It was opened to the public in 1873, with many of the plant species successfully growing. The Botanical Garden is now home to over 18,000 different species of plant from all over the world, each neatly labelled. These include cycads – Australian trees with huge twisting trunks, and ancient palm-ferns that have been around since the age of the dinosaurs. 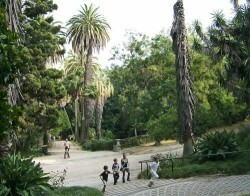 The garden covers some 10 acres of land and is located in the Principe Real district of Lisbon. 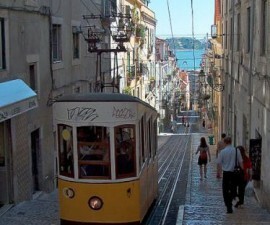 Despite its size, it is barely visible from the surrounding area, making it a surprising oasis away from the hustle and bustle of the busy streets of Lisbon, Portugal’s thriving capital city. The Botanical Garden underwent an enormous renovation between 1993 and 1997, returning it to its former glory and showing off the thousands of unique species it cultivates to perfection. The garden is an ideal place to wander amongst the greenery and take in the sights and smells. It is also, however, a popular place of study, both for students and botanical professionals who wish to study its plants and learn more about their ecological processes. The garden itself is split into several sections, whilst showcasing an overall Baroque design with strict geometric layout and dotted with period monuments. 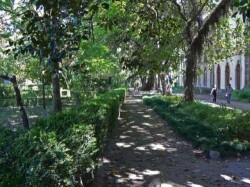 The garden is separated into two terraces which are connected by a monumental Baroque staircase, known as the Escadaria Central, or Central Staircase. 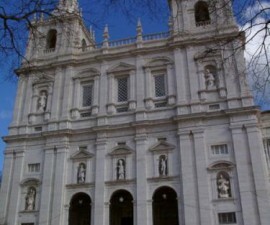 The upper level marks the original area which was landscaped for the Portugal’s Royal Family. The lower terrace is laid out in Italianesque style, with paths and boxwood hedges arranged in a geometric pattern around vibrantly coloured flower beds. To the centre sits a huge fountain with no less than 41 spouts, each disguised as a serpent, fish or sea horse. Other statues of frogs, shells and ducks set this centrepiece off to perfection and make for a fascinating game to see who can spot the most water-based species amongst the stone work. There is more to the Botanical Garden besides the plant species. The garden is also the home of the Astronomical Institute Observatory and the Meteorological Observatory, which opened as long ago as 1863. 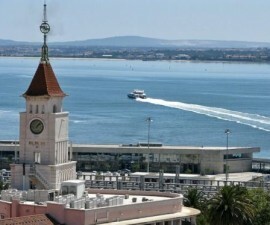 For those with a particular interest in science, a department of Lisbon’s Science Museum is also based here and can be visited by prior appointment. The Botanical Garden is located in Rua da Escola Politecnica and is close to several other leading Lisbon attractions, including the Miradouro de Sao Pedro de Alcantara and the Sao Roque Church.